YA Book Club: What If It's Us by Becky Albertalli & Adam Silvera | Tampa's only full service INDEPENDENT bookstore. If you love to read and discuss books, are between the ages of 14 to 24 years old, and have the capacity to eat sugar and salt simultaneously while never gaining an ounce...THEN YA Book Club is for you! Please purchase the book from Inkwood to participate! About the book: Arthur is only in New York for the summer, but if Broadway has taught him anything, it’s that the universe can deliver a showstopping romance when you least expect it. Ben thinks the universe needs to mind its business. If the universe had his back, he wouldn’t be on his way to the post office carrying a box of his ex-boyfriend’s things. But when Arthur and Ben meet-cute at the post office, what exactly does the universe have in store for them? Maybe nothing. After all, they get separated. Maybe everything. After all, they get reunited. But what if they can’t quite nail a first date . . . or a second first date . . . or a third? What if Arthur tries too hard to make it work . . . and Ben doesn’t try hard enough? What if life really isn’t like a Broadway play? But what if it is? 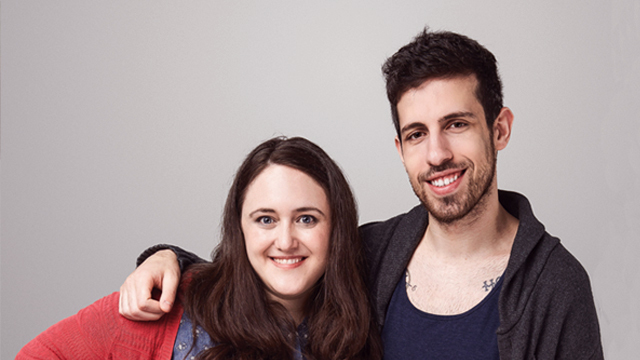 About the authors: Becky Albertalli and Adam Silvera were strangers when their agent sold thier debut novels, Simon vs. the Homo Sapiens Agenda and More Happy Than Not, within days of eachother. Two weeks later they read-and obsessed over- each other's books, and two months later the idea of What If It's Us was born over email. Both authors were named Publishers Weekly Flying Starts and are Lambda Literary Award nominees and New York Times bestsellers. Becky lives in Georgia and Adam lives in New York, and they live together in each other's text messages.